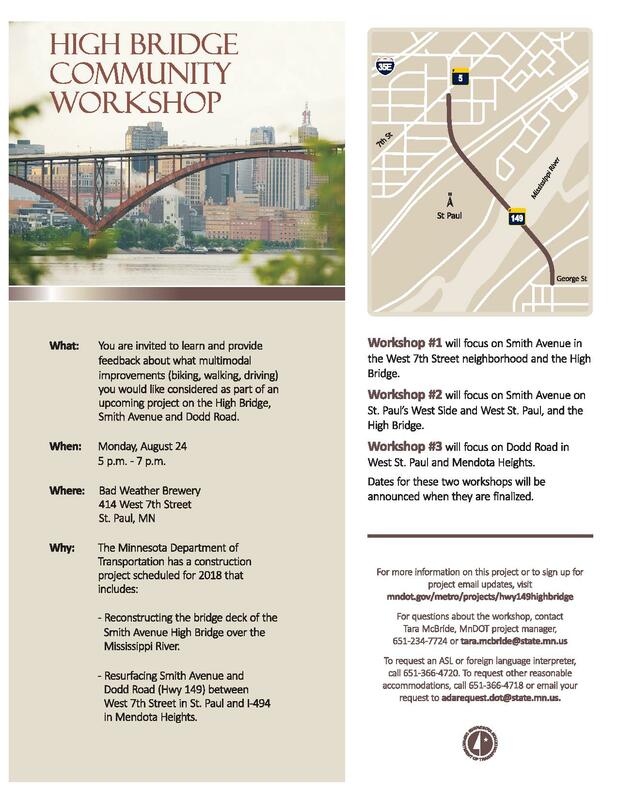 The public is invited to learn and provide input about future improvements to Smith Avenue and Dodd Road—Highway 149—in St. Paul, West St. Paul and Mendota Heights at a community workshop scheduled for Tuesday, Sept. 15. 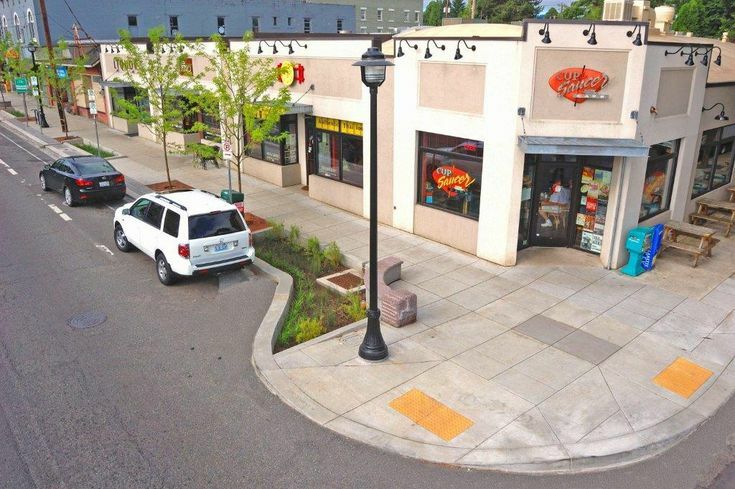 The workshop will be held from 5 – 7 p.m. at Capital View Cafe, 637 Smith Avenue in St. Paul. 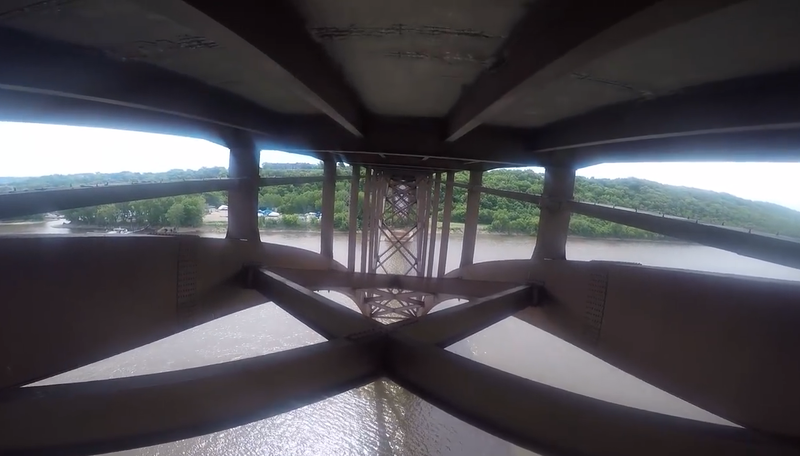 Workshop attendees will have the opportunity provide input about what biking, walking and driving improvements they would like to be considered as part of an upcoming project on the High Bridge, Smith Avenue and Dodd Road. The Sept. 15 workshop is the second of three workshops scheduled for this project. The third and final workshop will be held in Mendota Heights in early October. A time, date and location for the third workshop will be announced when it is finalized.